Wienen and Hetrick were once again battling at the front of the pack all day in Illinois. 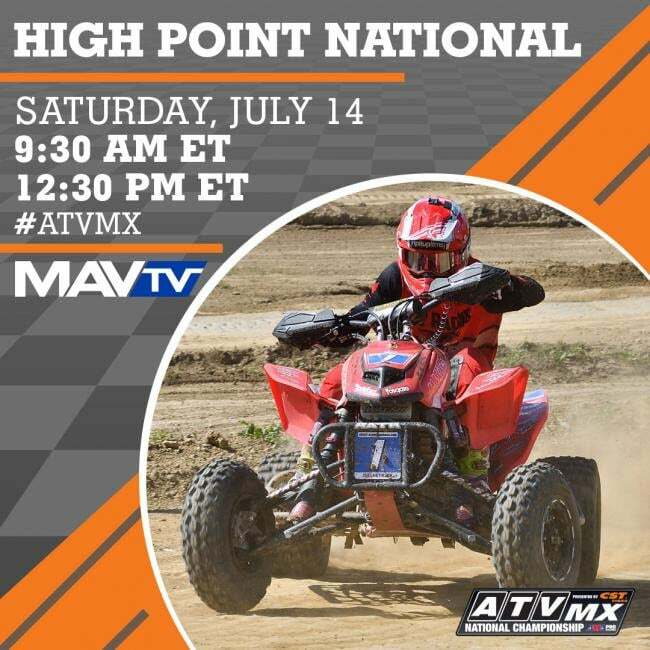 Tune in to MAVTV this Saturday, July 14 at 9:30 a.m. ET and/or 12:30 p.m. 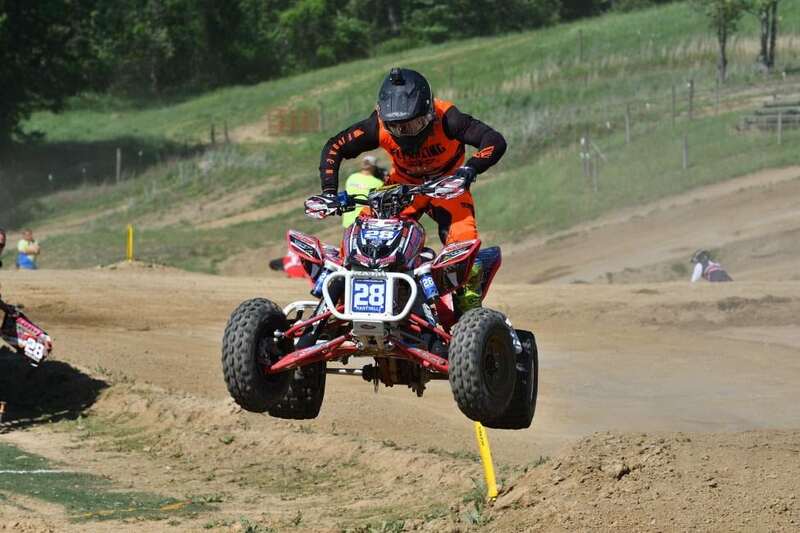 ET for the ATV Motocross National Championship (ATVMX) presented by CST Tires to watch round five – High Point ATVMX National highlight show from Mt. Morris, Pennsylvania. Don’t miss all the action as the ATVMX Series as predictions of rainfall were forecasted throughout the week prior to the race. However, the storms split and spared the track. With the threat of rain gone, the fans were treated to some of the best racing action to happen thus far in the season. 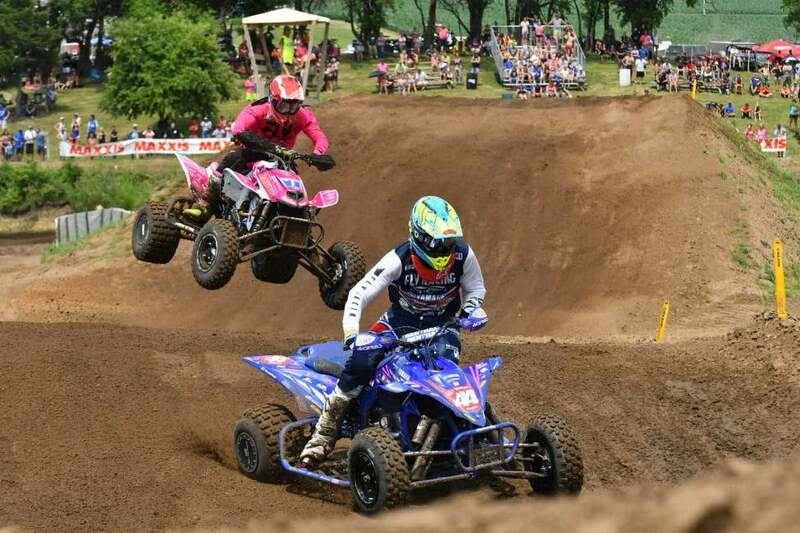 It was anticipated that since this ATVMX National was in Joel Hetrick’s home state and a hard-packed track that he would be blazing fast. Hetrick went out for timed qualifying and set a blistering pace, claiming the ATVRiders.com Fastest Qualifier award. The stage was set as moto one neared and the excitement began to build. Hetrick wasted no time getting into the lead and looked to be in his groove until a mistake on lap one cost him the lead. Ahead of Hetrick the race took on a new dimension as Wienen and Rastrelli battled bar-to-bar. Rastrelli would be able to find his chance to take over the lead, as he has been looking for a breakout race. Rastrelli now held this moto’s destiny in his hands, but Wienen kept him in check by keeping the pressure on as the laps started adding up. Wienen emerged with the lead late in the race as Rastrelli made a mistake and watched his hopes for a moto win disappear. When the checkered flag came out, Wienen had sealed the deal on the moto with a win as Hetrick had put in an incredible race taking second with Rastrelli claiming third. Moto two was looking to be every bit as exciting as the first with Wienen knowing he needed to get in a very solid ride and for Hetrick to be off his game. With Joel ready to redeem himself, the gate was about to drop on another intense battle that would last from the gate to the checkers. Set your DVR’s or tune in at 9:30 a.m. to see how moto two went down at High Point Raceway. There will also be a re-air at 12:30 p.m. Saturday, July 14. Jeffrey Rastrelli is aiming to earn his first overall win of the season.